According to Jonathan Wilson-Hartgrove, faithful action is always inspired and sustained by common convictions---the basic truths that have sustained God's people throughout every generation. The Awakening of Hope re-presents Christian faith by beginning with stories of faithful witness and asking, Why? Why do Christians eat together? Why do we fast? Why would we rather die than kill? These are the questions that help us see why creation and the fall, covenant and community, ethics and evangelism matter. This book and its accompanying DVD project is a contemporary catechism, celebrating lives and stories that wouldn't make sense if the gospel were not true. And then going one step further, this project shares the good news of Jesus and the way of life that he makes possible. 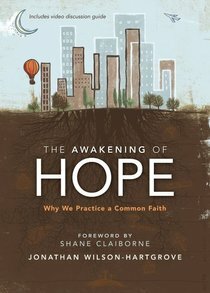 About "The Awakening of Hope"